Frankfurt/Shanghai, April 16, 2019 – When it comes to the CO2emissions of cars, the clock is ticking ever louder: In the EU, newly registered vehicles from a manufacturer’s fleet will be allowed to emit only 95 g of carbon dioxide (CO2) per kilometer on average from as early as 2021. Every gram of CO2 over the limit will cost manufacturers €95 – and that figure then has to be multiplied by the number of vehicles sold. Against the backdrop of stricter CO2legislation around the world, the focus right now is on reducing emissions gram by gram. In the U.S.A., a maximum of only 121 g/km has been stipulated by 2020. This figure is 117 g/km in China and 105 g/km in Japan. Besides the powertrain, other vehicle systems are required to play their part in emissions reduction, such as the brake system. 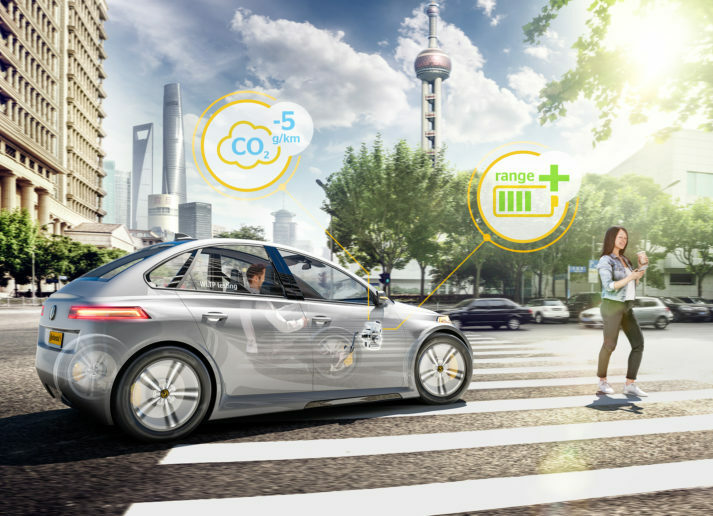 At the Auto Shanghai in China (April 16 to 25, 2019), the technology company Continental will present the results of a recent TÜV-certified test. “Here, the MK C1 electrohydraulic brake-by-wire brake system, installed in a standard plug-in hybrid vehicle from the D-segment class, reduced CO2 emissions by around 5 g/km on average compared with a conventional – non-brake-by-wire – hybrid brake system,” said Matthias Matic, head of the Vehicle Dynamics business unit of the Chassis & Safety division at Continental. The measurements were taken on a dynamometer test in accordance with the WLTP (Worldwide harmonized Light vehicle Test Procedure), the globally valid measurement procedure for determining the exhaust emissions and fuel/electricity consumption of motor vehicles, and were supervised by the TÜV experts present. During each of the three test runs, the vehicle with the MK C1recovered 160 Wh of additional electrical energy on average in the deceleration phases of the individual cycle – around 32 percent more than the system in comparison. The MK C1 makes this possible by enabling consistent use of the electric motor as a generator during braking. 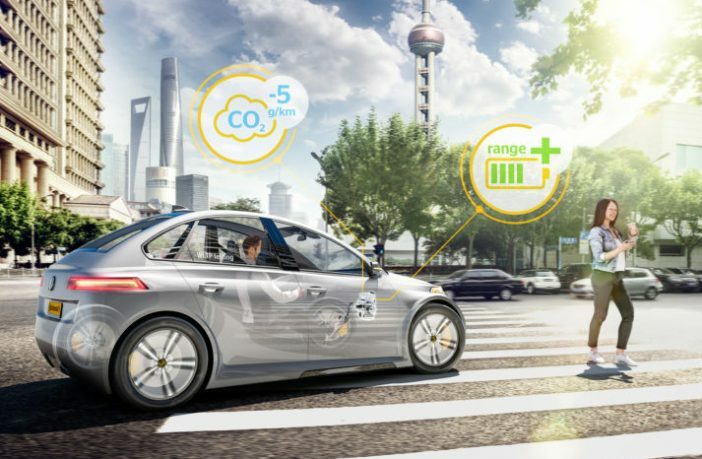 The intelligent hybrid control can then use the additional electricity generated in this way for fuel-efficient driving, thereby reducing CO2emissions and fuel consumption. “For the efficiency of a hybrid vehicle, it is important to use up as little of the vehicle’s kinetic energy as possible on the wheel brakes, because this energy is lost. Our MK C1 brake-by-wire brake system enables full utilization of the recuperation potential. This allows the vehicle to recover more electricity and achieve measurable CO2savings,” said Matic. “At the end of 2020, we will begin production of the MK C1 in Shanghai for a Chinese customer. We are therefore following our strategy of producing in the market, for the market.” The MK C1 has already been manufactured in series production for the European market in Frankfurt am Main since 2016, and for the American market in Morganton, North Carolina, U.S.A., since 2019.